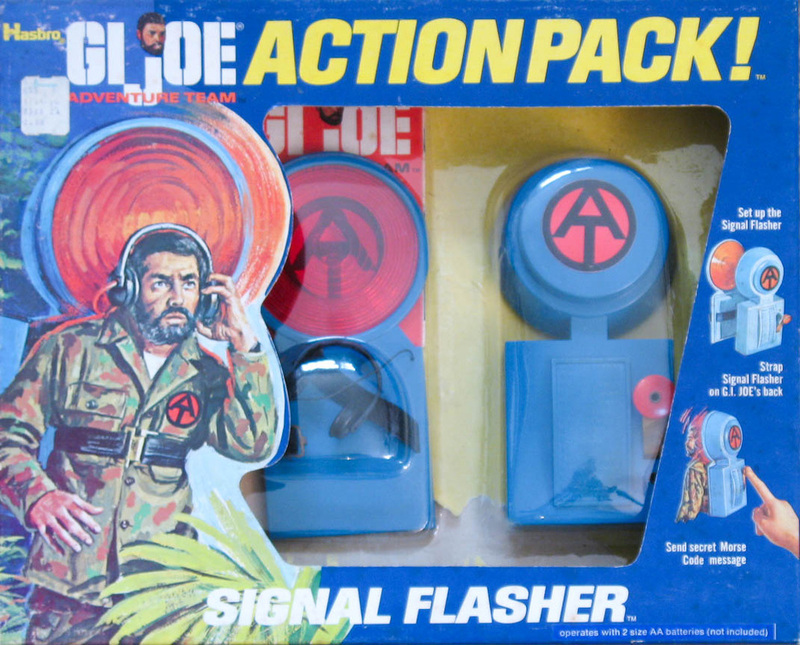 GI Joe's battery powered light, the Signal Flasher (7362) was released in 1971. Powered by a pair of double A batteries, the dots and dashes of Morse code are molded on the back so kids could spell out messages with light. Of course Joe's head blocked part of the powerful beam, and if the light had any heat, it would have burned the back of his head. The Signal Flasher was also available as part of the elusive Sears Danger Alert two-pack.